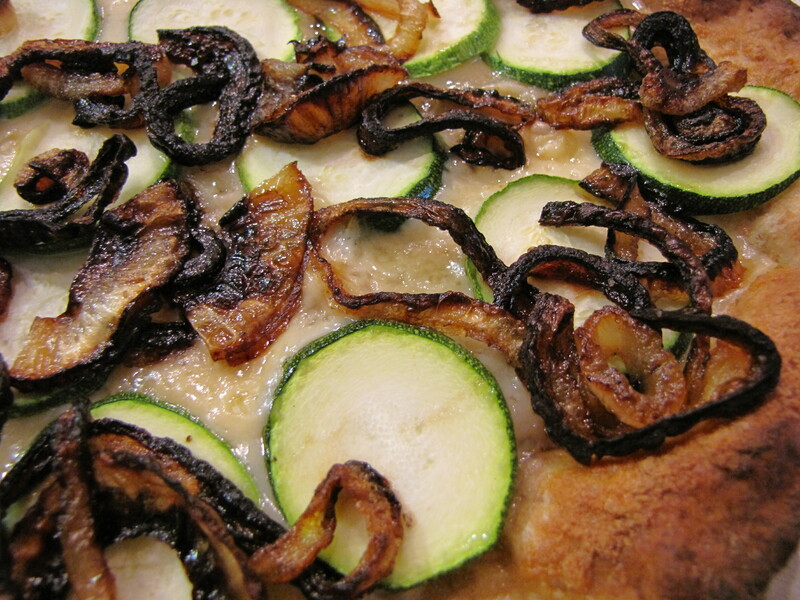 This entry was posted in cheese, garlic, herbs, Onion, Parmesan, pizza, Seasonal, squash, Summer Recipe, vegetarian, veggie and tagged caramelized onions, parmesan cheese, pizza, roasted garlic. Bookmark the permalink. Grilled pizza is so good, it adds a distinct flavor to the toppings and crust!